Today I am running with Sage Canaday. 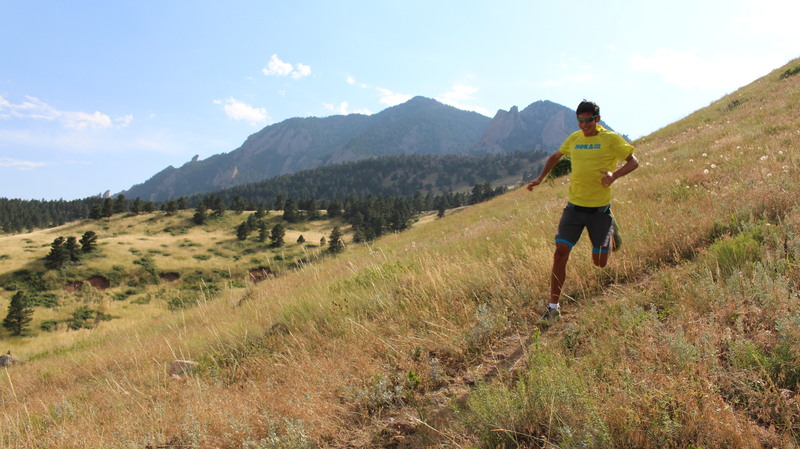 Sage is an ultra-marathoner, who feels that he does better in races the longer they are. He started running long distances at a young age (qualifying for the Olympic Trials in the marathon as a 21 year old in 2007), and as he gets older her keeps pushing the distances farther and farther. Dropping out of the Olympic Trials after only 10k. Transitioning from predominately road running to mixing in some trail running and longer distance racing. training run no longer than 30 miles. Sometimes, a person just needs some potato chips and pop to get through an ultra marathon. Regular training on a tough course made for a perfect race and a victory representing Team USA. Utilizing YouTube as his biggest social media platform. Published author about the daily grind of a young, professional marathon runner. A crazy first ultra race story, including running off course and wiping out on an icy bridge. No arguments from me. Seems like a really cool dude, and as a runner, he’s a beast!